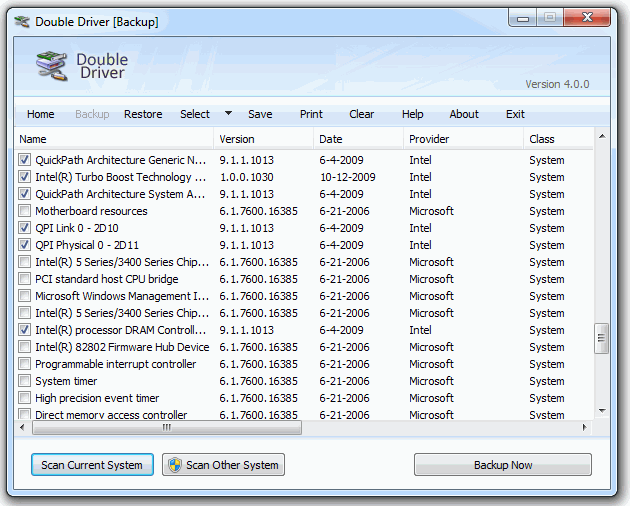 Double Driver lets you view all the drivers installed on your system and backup, restore, save, or print all chosen drivers. It analyzes your system and lists the most important driver details such as version, date, provider, etc and offers you the chance to update to the latest version. How to extract: Download the ZIP package and extract to a folder of your choice. Launch dd.exe. Updated ability to resize main dialog. Improved option to by-pass elevated mode. Just heard about this program from Security Now podcast #564. Since both download links were dead the co-host mirrored the version  from Snapfiles.com on his own site for people to download. Should I change the download link to this or the Softpedia.com link above? It would be nice to have a direct link imo. @Midas: the host found and tested the program prior to mentioning on the show and noted the download links had been broken for a while, in addition to several users here for the past several years, so I think the site is just outdated.